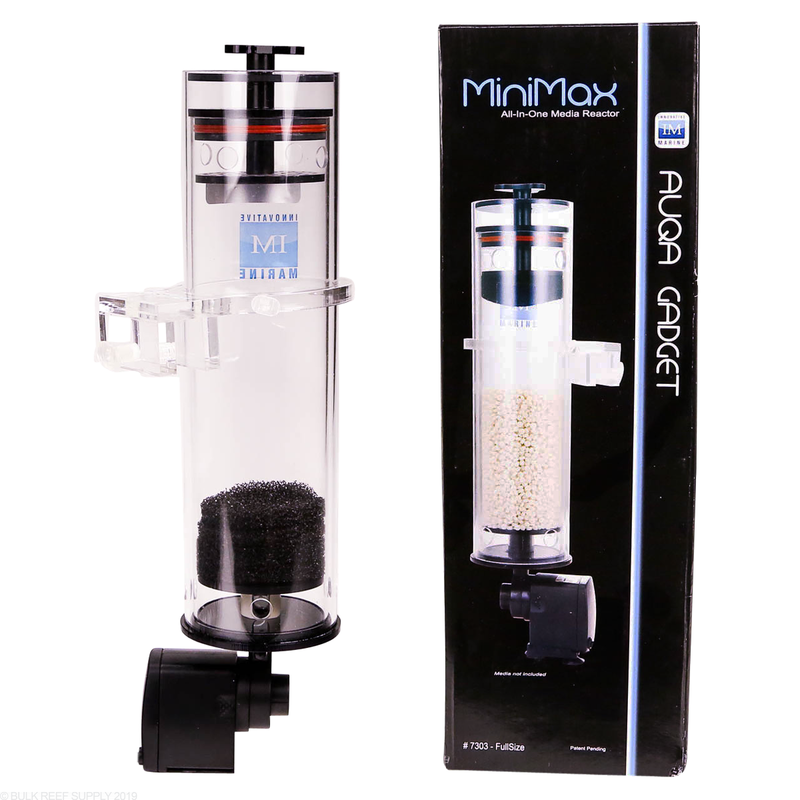 Auqa Gadget MiniMax Reactor - for use with GFO, Carbon and Biopellets that fit perfectly in the Innovative Marine AIO tank series along with other kinds of tanks that do not provide much room for filtration equipment. 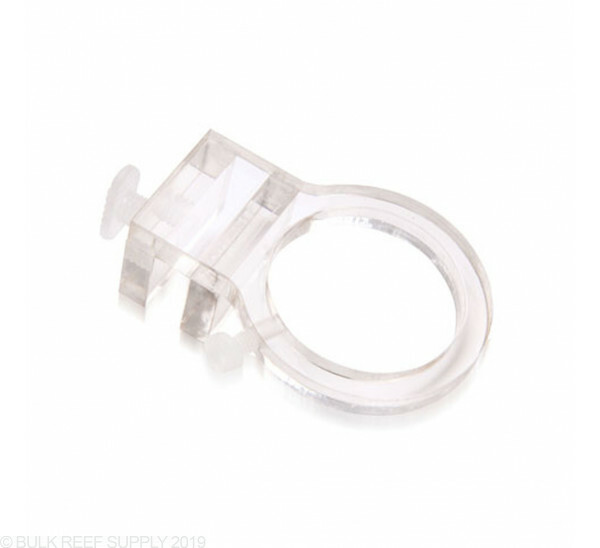 Patent pending design from Innovative Marine minimizes the need for tubing, PVC pipes, ball valves and thumb screws. 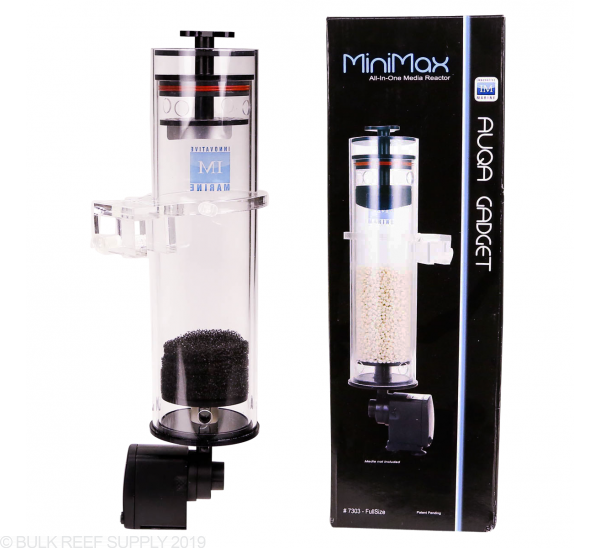 Sleek design incorporates flow control, easy maintenance and energy efficiency and works with Carbon or GFO.